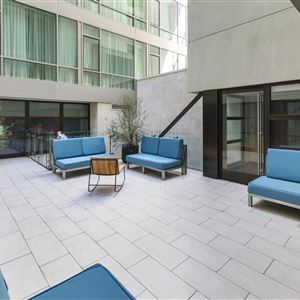 Property Location A stay at Andaz San Diego - a concept by Hyatt places you in the heart of San Diego, walking distance from Lyceum Theatre and Westfield Horton Plaza. This 4-star hotel is close to San Diego Convention Center and Balboa Park. Rooms Make yourself at home in one of the 159 air-conditioned rooms featuring refrigerators and iPod docking stations. 46-inch flat-screen televisions with cable programming provide entertainment, while complimentary wireless Internet access keeps you connected. Private bathrooms with showers feature designer toiletries and hair dryers. Conveniences include safes and desks, as well as phones with free local calls. Amenities Take advantage of recreation opportunities including an outdoor pool and a 24-hour fitness center. Additional amenities at this hotel include complimentary wireless Internet access, concierge services, and gift shops/newsstands. Dining Grab a bite to eat at the hotel's restaurant, where you can enjoy drinks at a bar, take in a pool view, and even dine alfresco (weather permitting). You can also stay in and take advantage of room service (during limited hours). Meet other guests and eat at a complimentary reception. Quench your thirst with your favorite drink at a bar/lounge. Full breakfasts are available daily for a fee. Business, Other Amenities Featured amenities include express check-in, express check-out, and complimentary newspapers in the lobby. Planning an event in San Diego? This hotel has 20000 square feet (1858 square meters) of space consisting of conference space and meeting rooms. 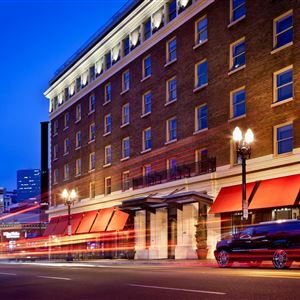 A stay at Andaz San Diego - a concept by Hyatt places you in the heart of San Diego, walking distance from Lyceum Theatre and Westfield Horton Plaza. This 4-star hotel is close to San Diego Convention Center and Balboa Park. Make yourself at home in one of the 159 air-conditioned rooms featuring refrigerators and iPod docking stations. 46-inch flat-screen televisions with cable programming provide entertainment, while complimentary wireless Internet access keeps you connected. Private bathrooms with showers feature designer toiletries and hair dryers. Conveniences include safes and desks, as well as phones with free local calls. Grab a bite to eat at the hotel's restaurant, where you can enjoy drinks at a bar, take in a pool view, and even dine alfresco (weather permitting). You can also stay in and take advantage of room service (during limited hours). Meet other guests and eat at a complimentary reception. Quench your thirst with your favorite drink at a bar/lounge. Full breakfasts are available daily for a fee. Featured amenities include express check-in, express check-out, and complimentary newspapers in the lobby. Planning an event in San Diego? This hotel has 20000 square feet (1858 square meters) of space consisting of conference space and meeting rooms.